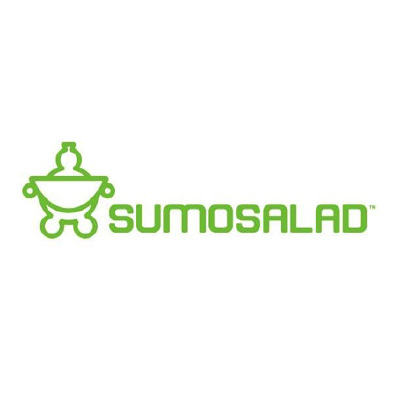 Daniel acted as our Chief Financial Officer during a period of expansion and growth here at Sumo Salad. He quickly implemented a new reporting format across our franchise-owned stores which allowed us to monitor and measure their performance much more efficiently. His financial analysis and modelling of a potential strategic alliance, along with his advanced store reporting were valuable tools which greatly improved our decision making process. I would be happy to recommend Daniel as an experienced and proficient Chief Financial Officer. Upon recommendation by a trusted third party, Daniel was engaged as a corporate advisor to the Board. At a time of significant change in our business, he provided valuable strategic insight by developing and implementing a substantial plan to lay the foundation for our future growth plans. Since Daniel's involvement, our business has been extremely successful and I can attribute this ongoing success and profitability to the foundation Daniel devised and implemented for us. I would have no hesitation in personally recommending Daniel and am confident that any business who utilises his services is bound to gain immensely from his creative thinking and no-nonsense approach to business. We recently initiated a strategic capital raise and alliance with two of the largest global beverage leaders. During the process both parties praised our financials and forecast modelling and stated how easy it was to understand the performance of the business, giving us greater creditability over our financials. Dan has been immensely helpful in assisting us lay out the financial strategy for our new job matching technology - Ability Map. His wealth of experience showed through as we built the 3 year financial plan to integrate into our Information Memorandum. The sophistication of his financial modelling represents “best practice” in this space. Founding Managing Director – Chandler Macleod Group Ltd and Co-Founder- Ability Sciences Pty Ltd.
Daniel Fah was recommended to me as someone who could help us with an Acquisition/ Reconstruction. Our experience with Daniel has been one that we in turn would highly recommend. Sound and practical strategic advice has been the cornerstone of our relationship, combined with the latest in Financial Modelling and Reporting. Daniel served as our Chief Financial Officer and Company secretary for over 4 years and during that time, was instrumental in maintaining our rigorous standard of corporate governance and compliance. During his tenure, he took the lead on a number of major projects and was active in advising the Board during critical periods of growth as well as successfully managing our capital raise strategies. I would have no hesitation in recommending Daniel as a skilled and proficient executive who is able to quickly identify key issues, develop strategic responses and deliver by turning problems into opportunities. Beeline was turned around from a business misunderstood by management without a clear guide as from where they stood financially. With a combination of clear numbers trends could be seen allowing management to focus on a strategy for success turning the company from loss to profit enabling a successful sale. Daniel was recommended to us by an ex-director of Leighton’s after we had 14 months of trying and failing to fix reporting issues with our accounting system Dynamics AX. Within three months (instead of 14 months of failure) we had a reporting structure which actually told us what was going on in our business and enabled us to examine and contain costs, gave us the ability to focus as to where are sales activity needed most. Your reports gave us the ability to roll out accountable KPIs. With the occasional review the structures you set up are still in place and relevant. The reports provided the board and management with the needed information to run the business effectively. Daniel provided our business with ongoing support as Chief Financial Officer including mentored our senior finance staff. Whenever we need advice on acquisitions or growth initiatives, you have been the first person we turn to.